At the time of writing, Raphael Domjan and a few other members of the team are in Russia, at the offices of their partner, Zvezda, where they are testing the solar space suit that Raphael plans to wear for his voyage into the stratosphere. 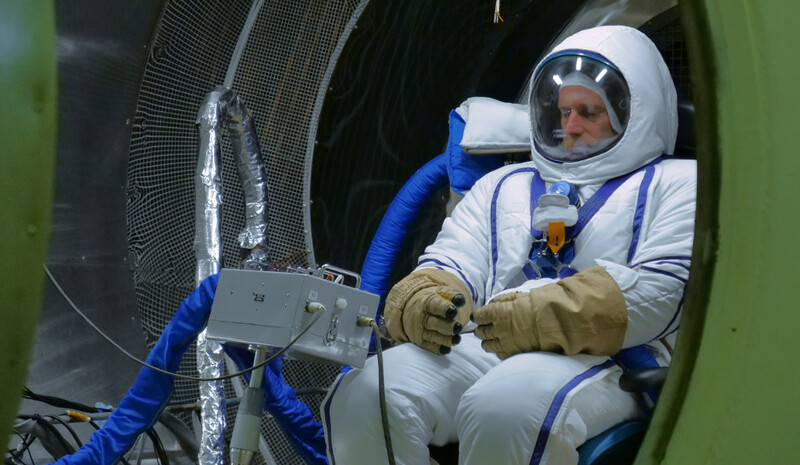 The tests, that simulate a 25,000-metre flight at a temperature of -75 degrees Celsius, are being conducted in an altitude chamber with full medical monitoring by the SolarStratos doctor and Zvezda teams. During their trip, the team will take the opportunity to present SolarStratos, the Mission’s ambitious goal and the know-how surrounding the eco-exploration, at the Swiss Embassy in Moscow, the Bauman Moscow State Technical University and to Russian cosmonauts. The solar space suit is central to a successful SolarStratos Mission, not only must it protect Raphael by regulating the temperature and pressure, but it also needs to shield him from solar radiation and provide him with Oxygen. Not forgetting the fact that he also requires a maximum of mobility to steer the aircraft. The space suit, Sokol-KV2, developed by our partner Zvezda, is currently used by cosmonauts and astronauts as a survival suit in the event of depressurisation onboard Soyuz. Sokol means « launch – and reentry suit ». 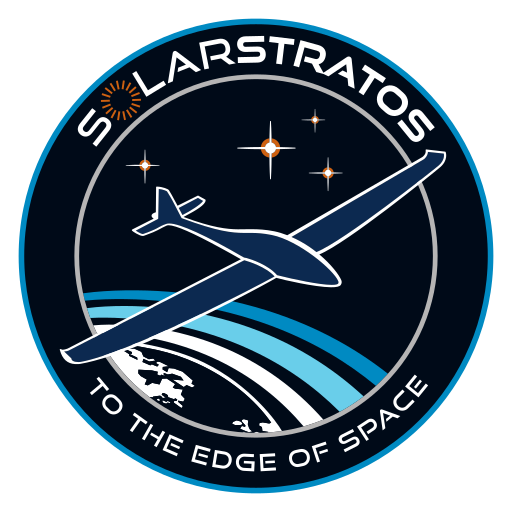 It is being customised for SolarStratos’ unique set of requirements. With limited energy onboard, the SolarStratos suit will be powered by the solar energy harvested by the aircraft during its climb into the stratosphere and will have two major advantages: a very low energy consumption and – at 30kgs – it is very light weight. 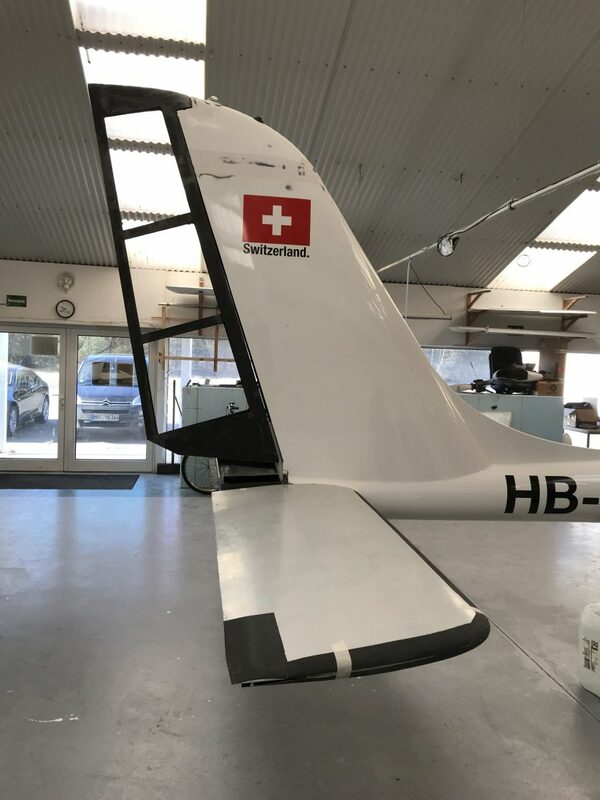 Our solar aircraft spent the winter in Berlin, Germany, undergoing some improvements and adjustments, including a new horizontal stabiliser that has reduced the overall weight by 1kg, larger landing gear that will give better stability and allow for a larger propeller, and airbrakes. Structural elements of the wings have also been strengthened and rigidity testing is currently underway. Our solar plane will be back in Payerne, Switzerland, in May and ready for action! 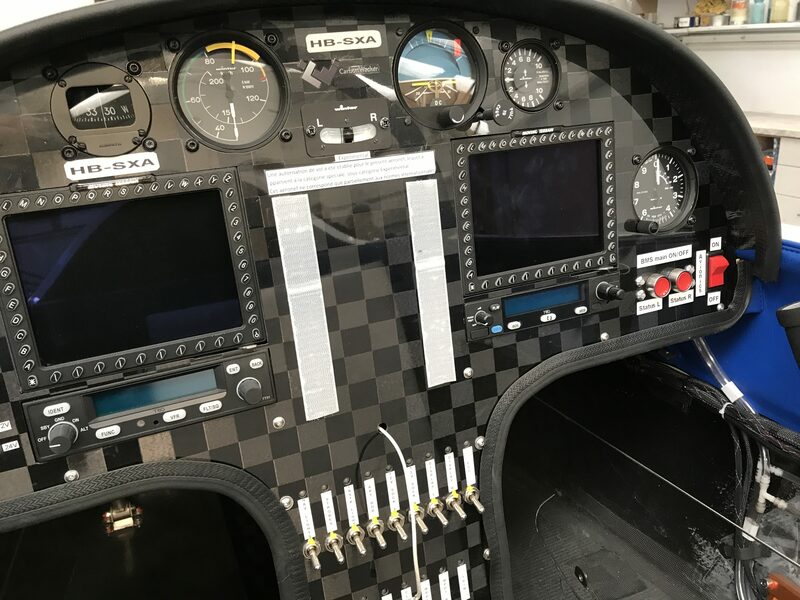 The plan is to resume flying with medium-term goals of achieving our first tandem flight, reaching 3,000 metres, and putting Raphael on the controls. By the end of the year, we aim to be flying at 10,000 metres above sea level. This will make us the highest manned solar and electric aircraft in history.